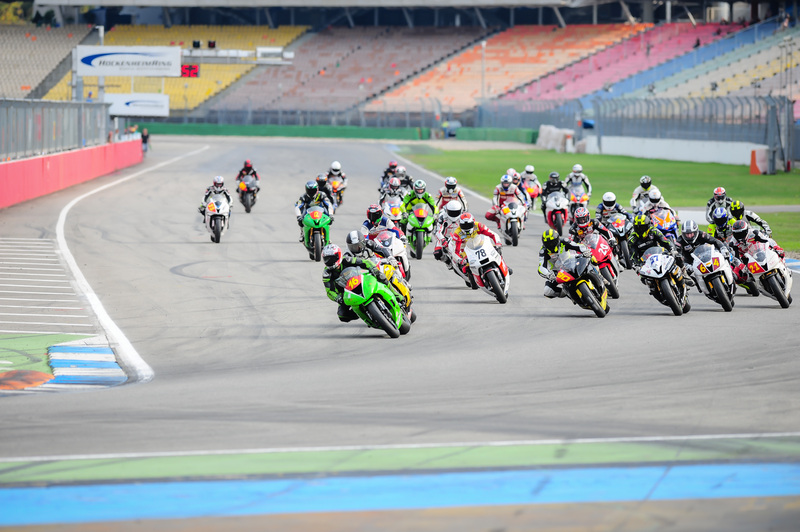 Euro Moto Racing & DMV Rundstrecken Championship: Ready for 2014! Gera. It’s not third Advent yet and Bike Promotion already can reveal the plans for the 2014 Euro Moto Racing (EMR) and the DMV Rundstrecken Championship (DRC). Not only next year’s provisional calendar is ready yet, there are also some changes in the regulations that have been made in order to make the series even more attractive to all participants. EMR and DRC will further approach international standards in 2014. New there will be a sprint race (15 minutes plus 1 lap) and a longer heat (20 mins plus 1 lap). International regulations as used in MotoGP and World Superbikes concerning the starts are making their way to the series also: in 2014 three riders will form one row of the grid only. From the technical point of view the Superstock 1000 category above all has to be mentioned as Slick tires are permitted from now on. Furthermore brake protectors will be allowed as well in STK1000 as in STK600. 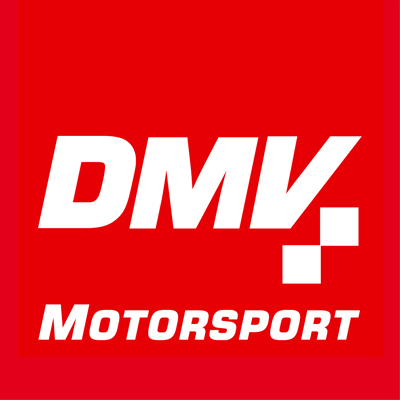 In 2014 the DMV Rundstrecken Championship will get to the focus of those riders that los their platform for motorsports in the discontinuation of the Deutsche Seriensport Meisterschaft. The SBK750 and the Lightweight class (Mini Twins) will be newly put out to tender. Rider’s of 600cc and 1000cc machinery already find suitable classes amongst the DRC series. It’s a novelty in the whole scenery of motorbike racing: For every sold ticket at the events EUR 1 goes to a fund, that is divided to all registered riders at the end of the season. Rider’s therewith shall be animated to bring fans to the events; they can expect grandstands, entry to paddock for free, fringe events, race commentary and programmes at almost all events. 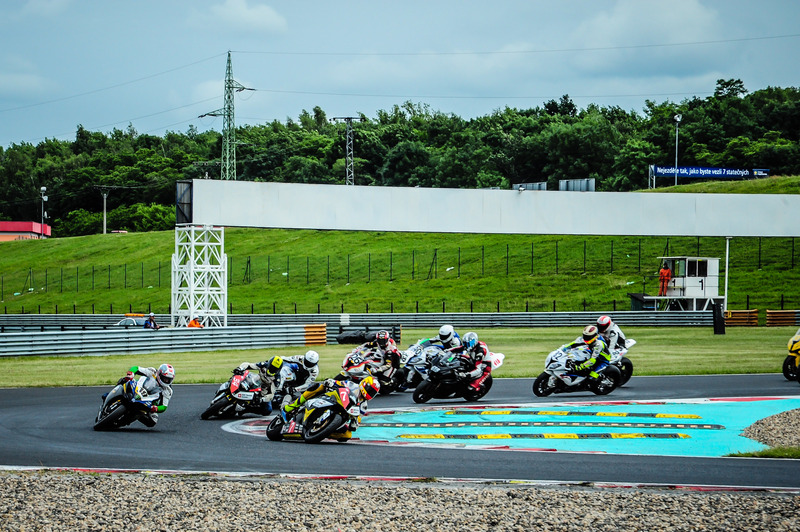 2014 will see media wise investments: It is planed to cover the events at the Hockenheimring (for the first time for years the ‘May-Cup’ is to be held), Sachsenring, Oschersleben and Dijon with TV productions. Those will be uploaded to a online portal and will be free to use for registered riders to help their search for suitable sponsors. Looking at the media side of the series, an investment will be done concerning video production. It is expected to have a production of the races at Hockenheim, Sachsenring, Oschersleben and Dijon as well as at the Schleizer Dreieck, if the legendary Thuringia race track is confirmed for the series during the next days and weeks. For german press releases click here.